While using the Odoo/Open ERP software the main user has got the privilege of adding and deactivating users at any point of working. This is indeed a very useful feature which will help the main user to be prepared all the time. In this blog, we will discuss the various steps with which a user can be added and deactivated from Odoo/Open ERP software. Go to the Settings module > open the submenu User > click on users > click create. Here you have to mention the name of the new user along with his professional email address. This credentials will be used by the new user to log in to the Odoo instance. An option to add a picture is also provided. Now we can define the access rights of the newly assigned user. Now as we can see, here there is an option called access rights. Here the main user can select the applications which can be used by the new user. Each application will have different levels of rights. The main user can do all the editing’s regarding the new user from this page. Once all the editings are completed, click on the save button. Once the saving is done the new user will automatically receive an email with the invitation to join link. The new user can go to this link on the invitation and log in with his credentials. 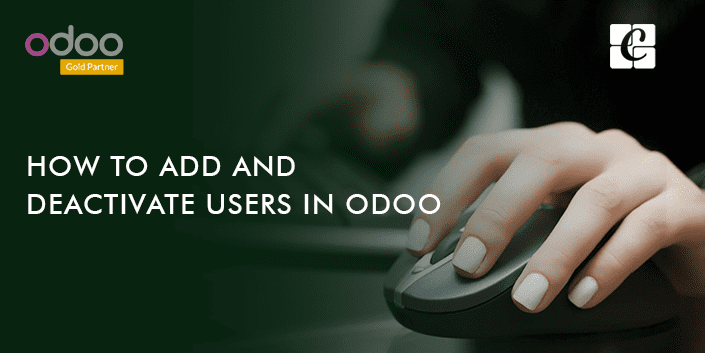 Each additional user added using this feature will increase the subscription fee under Odoo/Open ERP policy. There is an alternate way of adding a new user from the dashboard of the main user. In the dashboard there will be an option called invite new users, here add the email address of the new user and click on the invite button. Once done the new user will get an email which will have a link. Follow this link and the new user can set his password. The access rights are defined by the main user under, settings > users menu. 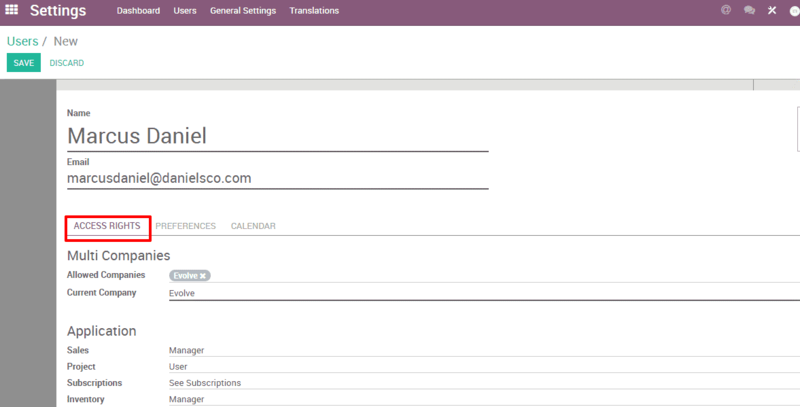 This is how a new user is added in Odoo/Open ERP. 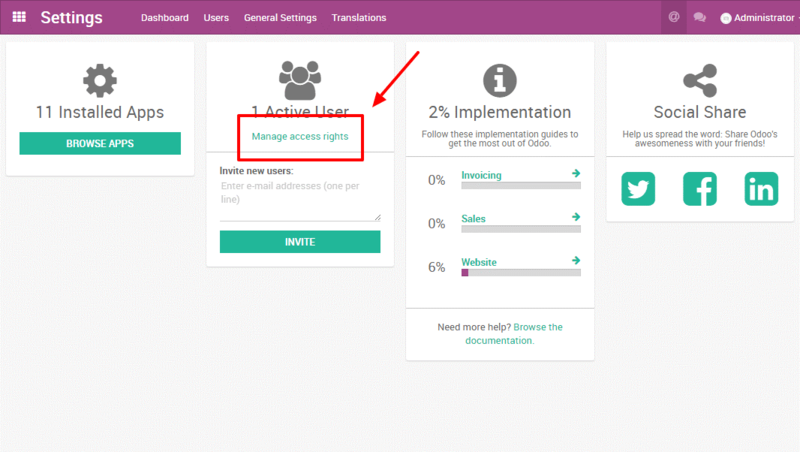 Open your Odoo instance, from there open the settings. The users using your database are shown here. Now select the manage access rights. Once you click on that, you can see the users using your database. Here select the user you want to deactivate. Once the user is selected the user form will appear, here click on the part showing active. Once clicked it will turn to inactive. Then that particular user is deactivated. Always be cautious no to make the main user inactive. This is how a user is deactivated in Odoo/Open ERP.